It’s my one month blogiversary! Yay! I have had so much fun so far sharing my projects with you all, and I can’t wait to see where it will all go next from here. When I started Dwelling in Happiness a month ago, I wasn’t really sure what to expect. In fact, go back even a couple months before that, and I wasn’t even sure I could do it at all. 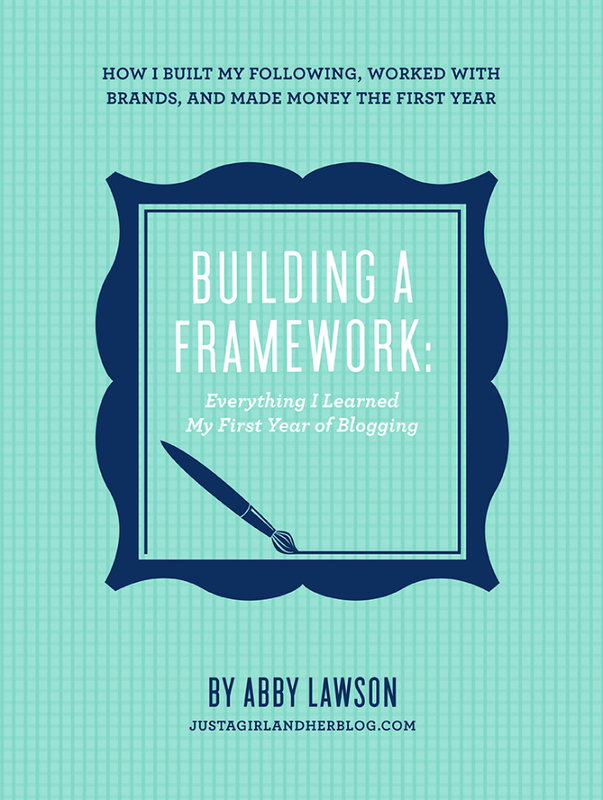 Enter: Abby’s “Building a Framework: Everything I Learned My First Year of Blogging”, at Just a Girl and Her Blog. I was poking around on Pinterest one day, looking at all the pretty home binder printables to help get myself organized. 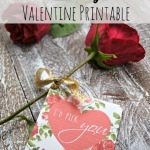 I came across Abby’s beautiful printables, so I went to her blog to check them out. I happened to see her add on the right side of her page about this new e-book she had just published. I clicked on it and was reading what the book was about, and it was like it all just fell into my lap. I had always thought about blogging, as I’ve seen so many DIY amazing projects on Pinterest come from really awesome blogs. But, I had NO idea where to start or what to do. Like, at all. I didn’t even think I could maintain a blog, and to be honest, I really didn’t think anyone would like or want to read about my little projects or ideas. I decided to e-mail Abby and ask her a couple questions, not really expecting to hear back since she’s so popular and busy with a family. I was shocked that this amazing popular blogger responded a few days later! She was SO encouraging and sweet, and answered all my (silly) questions. So, I decided to try and give this blogging thing a “go.” I bought and downloaded her book and went from there. You guys, this book is SO incredibly helpful. I read it all within a few days, soaking up all the different aspects that I had no clue went along with blogging. Abby starts her book with the very basics, with which web hosting sites to use and how to choose a domain and a theme. She goes step-by-step with pictures and screen shots of how to go about everything, which was so great to have when I was getting everything set up. I didn’t even know there was a difference between wordpress.com and wordpress.org! I’m so glad I do now though, and made the best choice for myself (with her help!). Abby really stresses building relationships with other bloggers in her book, which isn’t something I honestly thought I needed to do. In my mind I thought, “so, if I want to have a DIY blog, aren’t I in ‘competition’ with other DIY bloggers?” That’s honestly what my mindset was before I got started. But, after reading Abby’s book and actually getting into the blogging part, my mind has completely changed! Oh my goodness, the blogging community is AMAZING! We are in no way competitors, as I’m learning everyone has their own style and piece to bring to the “DIY blogging” table. Every single blogger I have connected with is so incredibly sweet and supportive. 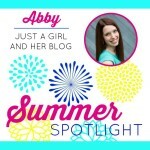 Abby talks about the importance of collaboration with other bloggers, as well as sharing contacts and connections, which has been extremely beneficial so far. Their success is my success, which I had never realized until I started! Another important aspect of her book is how to make money with a blog. Along with everything else I didn’t know, this was also news to me! Make money while blogging? Sounds too good to be true. I’m nowhere near ready for that, but Abby gives step by step instructions for not only setting up Google AdSense, but also how to work with different affiliates and brands. If I hadn’t read her book, I don’t think I’d even know that working with brands and affiliates was an option! She gives more step-by-step instructions with pictures in setting up Google AdSense. She breaks it all down for you, leaving no room for error, thank goodness! If you’re thinking about starting a blog (or already have one!) and want to read more about Abby’s book or purchase it, you can do that at The Landing page on her blog Just a Girl and Her Blog. It’s super easy to download, and she’s SO passionate about helping us all get started. I’m so glad too, because I really have her to thank for giving me the encouragement to get started. Her book is like a cheat sheet – she really gives you everything she has learned so we can get started and be ahead of the curve; even when she had to learn some things the hard way! Even for you veteran bloggers; this book has something for you, too! A month later, I am so thankful for not only Abby and her amazing e-book, but also for all the other sweet and supportive bloggers I’ve met along the way. And yes, I know, it’s ONLY been a month. But still, I certainly would not have even come this far if it weren’t for all of them. I’m so excited each day to meet new bloggers and see all that they have offer. I’m always so inspired by their ideas, and love getting to see a little bit of who they are. Here’s to many many more months of this wonderful little thing called blogging! Have you read Abby’s book? How did it help you get started? 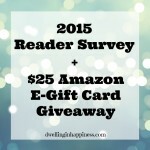 2015 Reader Survey + $25 Amazon E-Gift Card Giveaway! I am so impressed by all you’ve accomplished during your first month of blogging! I can’t wait to see what’s next for Dwelling in Happiness! I absolutely LOVED Abby’s book too! It completely changed my bloggy life!!! Agreed! Thank goodness for good help to get us going in the beginning! 🙂 Have an awesome day Kristi! Abby’s book was helpful! I am still learning so much every day and trying to grow my blog in any way I can. I LOVE this blogging journey more than I ever thought I would. I will be following your journey! Welcome aboard! 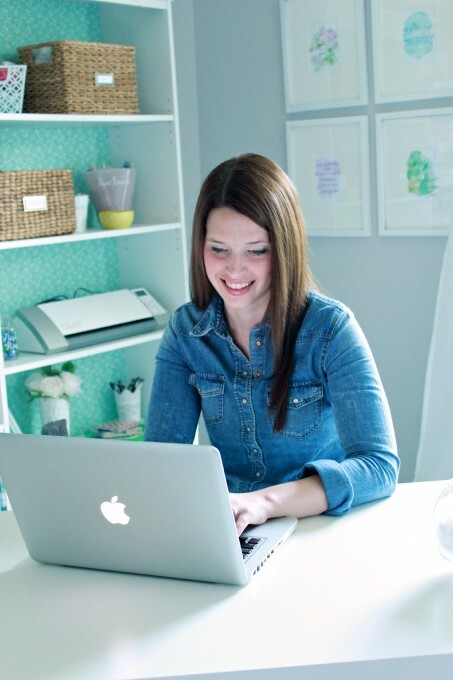 I’ve been at blogging a while but learned SO much from Abby’s book… I’m still implementing things I learned from it! I came across her book a few weeks ago, right before starting the switch from Blogger to WordPress, and SOOO glad I did! It has been so helpful!! That’s awesome that’s how you got started though from the beginning! Thanks for sharing!!! 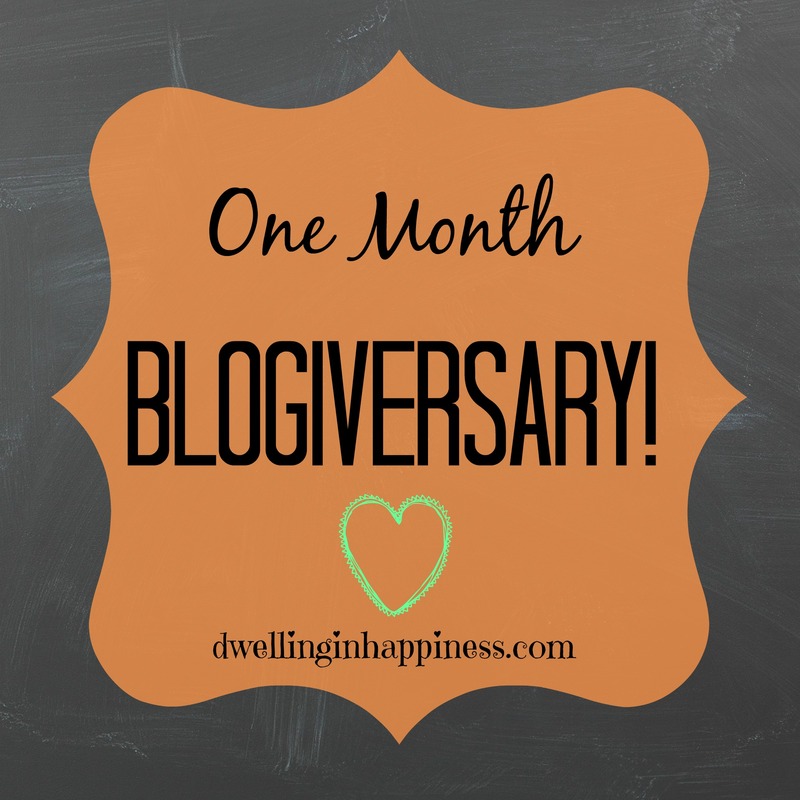 Congrats on your one month blogiversary! I love what you’ve done so far and will be stopping by frequently to check out your latest projects. I just finished reading Abby’s book and can’t wait to put her suggestions to work on my own blog – so much great advice! I’d been an off again on again blogger for years before reading Abby’s book. Her tips are so helpful and I’ve been blogging regularly for over 2 months now 🙂 I thought the same thing about being in competition with other DIY bloggers but they really are such an amazing group of women. I can’t wait to follow along with you and I’d love a follow back! Congrats Amanda on your one month blogiversary!! I must say that I have hemmed and hawed over starting a blog ever since I picked up Mom Inc. Needless to say, I over think things and think, “oh, the blogosphere is over saturated, is anyone going to want to read what I post, what should I call it?” and the list goes on… Recently, another blogger and I were exchanging ideas about a recipe and she invited me to do a guest post on her blog! YIKES & YAY!!! That’s what I’m thinking right now… I don’t even have a blog and this wonderful blogger wants me to be a guest on her established blog to share my story and recipe. I recently started following Abby’s page on FB and will definitely be getting this book to help me figure out where to go with this whole “mommy’s starting a blog” thing. 🙂 Thanks so much for sharing your review! Hi Amanda, we are still in the collaborative phase. Guest post wouldn’t be until October. I will definitely let you know when it’s done. In the meantime, feel free to visit Kirsten at Sweet Tea and Saving Grace. 🙂 I’m almost wondering if I shouldn’t give myself until October as a deadline to start my own blog. Lol I’ll keep you posted. Thanks for the reply and the encouragement! So glad to have “met” you too, Amanda thru this fabulous world of blogging! And yes, Abby’s book has been a lifesaver more than once for me! I can’t imagine how easy setting up a blog would’ve been, had the book been released back in Dec. oh well 🙂 So glad to have a resource that’s in one single book! Great review! I picked up her book the first week and I adore it too. I have had her book on my wishlist for a while now…I can’t wait to read it! Thanks for this review, now I am more pumped about it than ever! Thanks, Nicole! It is SO worth the read, and it’s quick, too! So glad I could help spark some more excitement! 🙂 Have a great day! I totally loved her blog too. 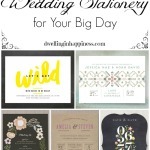 I just found your blog from the TTJ link party! Happy to be following along with you. 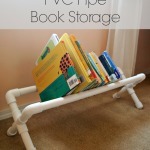 Thanks so much for linking up at Teach Me Tuesday. You are very much appreciated! Hope to see you again this week! Thank you, Bobbi! All linked up again! 🙂 Have a fabulous weekend! I wish there was something like this available when I got started! Abby’s book is the perfect tool to get you started and to continue to refer back to as you grow. And you are right, she is SO super sweet! Great review. I too am totally impressed at how far you’ve come in only a month! !